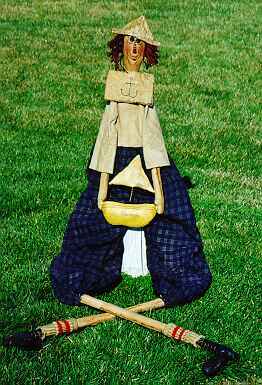 Here's our buddy Andy in a sailor outfit. Sitting in the house, on the porch, or by the pool he'll make a great display for all occassions. 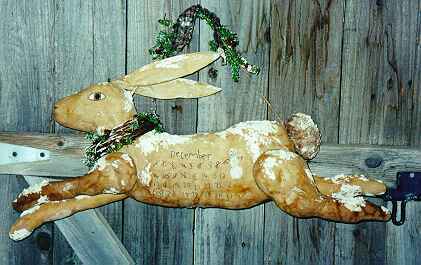 One of the most popular Ragged Edge dolls, this snow covered running bunny is a fantastic wall hanging. A great snowman with papier mache head. He's totally irresistable, with stars for eyes and a candy cane and Christmas stocking. Belindy doll & 13" rag doll Annie . What a terriffic black doll! 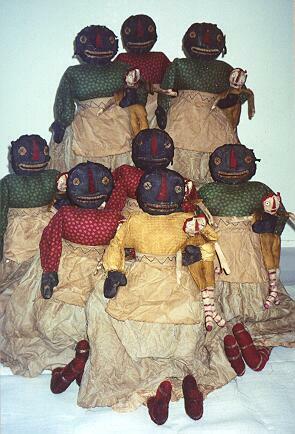 Her pillow ticking skirt gives that authentic look of a country doll made from fabric scraps and discards. 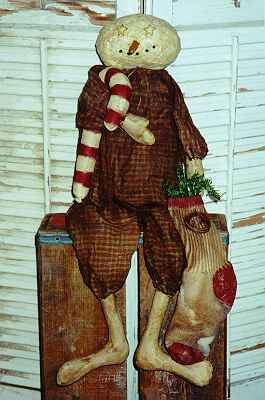 Belindy's rag doll Annie is reason enough to buy this great pattern. Together they're unbeatable!